A recounting of the humiliation I've been facing since my device was submitted for fixing a faulty display. When my Google Pixel 2’s display went suddenly blank on October 11, I was certain it had powered off due to low battery. Only after charging it for some time did I realize that its screen had stopped working completely. I say only the display, since the fingerprint scanner was still giving me haptic feedback and the phone was still buzzing for calls and notifications. By next morning though, the phone had stopped working completely. Realizing that my Pixel 2 was still under warranty, I breathed a small sigh of relief. I say small, because I have been using it as my primary device for work and personal tasks since I bought the smartphone and I was even considering buying the Pixel 3. Back to the Pixel 2 – since there was no physical damage to the phone, I was sure I could get it repaired easily under warranty. So I decided to give Google a call, and thus began my harrowing experience with what Google calls its customer care program for its Indian customers. The date is October 12. Impressed with Google’s facility to have an executive call you back after you lodge your number on its website, I pushed Enter after providing my contact details. On call, I described my issue to the person on the other end who assured me that an engineer would come to diagnose the problem and if needed, would pick up the device to take it to the repair center. I was also told that a loaner device would be provided in case my phone was sent to repair. I was doubly impressed by how prompt the service was, even as the engineer arrived ahead of time that afternoon. He made the necessary checks and decided it best to take the Pixel 2 to the repair center. Fair enough. But here’s the point from where it started to feel thoroughly unprofessional for a company like Google. When I asked for the loaner device, the engineer refused to give me one and asked me to talk to customer care again regarding the same. 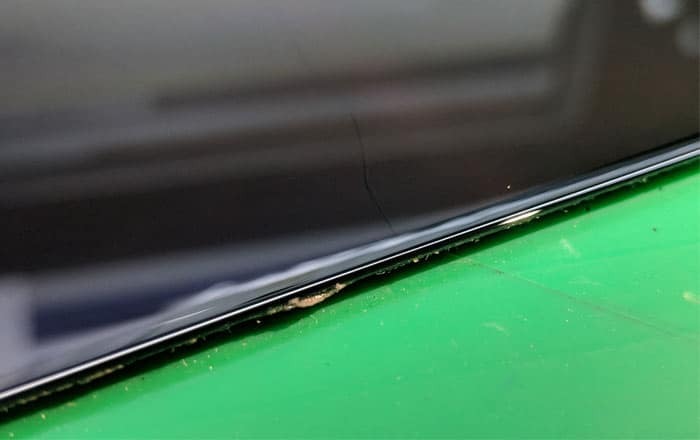 The photo of a cracked display module sent by email with the claim that this physical damage has happened from the customer’s end. Before leaving the place, he did all the necessary checks and came to the conclusion that only two minor scratches existed on the back surface of the Pixel 2. Basically, there was no physical damage to the display. The engineer even assured me that the problem would most likely be solved under warranty. Two days went by after that with no communication from B2X, the company handling the repairs. On the third day (October 15), I was emailed a quote of Rs 7548 to fix a damaged LCM, which is just another word for LCD. The Pixel 2 has an OLED and not an LCD. But I guess this is not the time to diverge from the issue. I promptly shot Google an email asking why was I being told to pay if there was no physical damage. I even asked them to provide me with proof of the damage if they wanted to argue otherwise. I got the standard reply that the issue was being looked into and I would be contacted as soon as possible. Not satisfied with this, I gave customer service a call. When the executive started going back and forth with the same routine replies, I asked him to escalate the call. After a good 10 minutes of keeping me on hold, another person answered the call. Before I could explain anything to him, he let me know that he had looked at the images taken by the engineer while picking up my Pixel 2, and found no physical damage to the screen in those. He assured me that the issue would be solved in 24 – 48 hours. I was relieved, and kept waiting for any further communication. On October 19, I gave Google customer care another call. After the same standard call center jargon, and being kept on hold for too long, I was told that my issue would definitely get solved within 24 hours. When I asked for an assurance on the same, the person on the other end failed to do so. And as expected, nothing was done in the next 24 hours. A day later, I got a call from a B2X executive who just wanted to confirm my issue before acting on it, since it had reached him as an escalation. Either the escalation reached B2X 5 days later or it had reached them before, but they were acting on it after 5 whole days. Either way, it is Google who is to be held accountable for this parody of a customer service. It was more frustrating that even this caller from B2X wasn’t able to assure me about solving my issue. And during this entire saga, I have been sent repeated emails asking me to make the payment to get my Pixel 2 repaired. Throughout all this, I kept asking for the loaner device I was promised from Google’s end, but only assurances of the same have been provided to me until now. Like I said, I hold Google responsible for the sham of an after-sales service. If a customer service platform is established by such a reputed company, it is their job to ensure that it works systematically. I have faced nothing but harrowing inconvenience since the day my device was picked up from my place on October 12. I will continue to refuse paying the unjustified repair charges until I am shown proof that the phone’s screen was damaged when it was picked up, which I am sure Google won’t be able to do. I will update this article with more details when I receive further communication from Google. 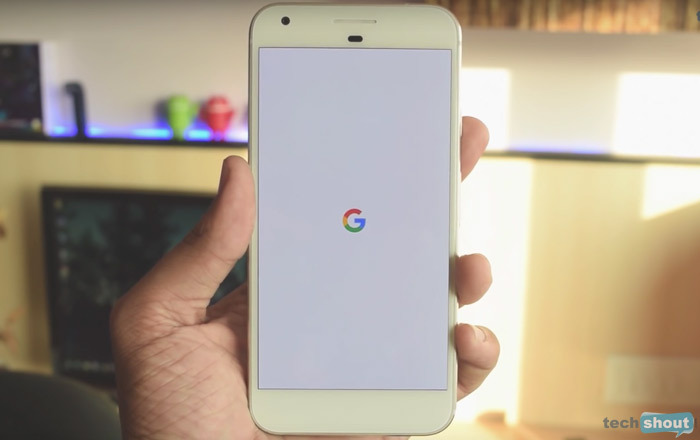 In the meantime, I am left wondering why anyone who’s been through such an appalling experience with the company’s after-sales service would want to drop Rs 71000 or more for the Pixel 3 if they can’t even be confident that Google will honor the warranty provided with its smartphones. It’s been 10 days since I contacted customer care with no solution in sight. Update: On October 22, after Google did not live up to its promise of calling me back in 24 hours, I gave them a call once again. After arguing with the agent about the issue, I got my call escalated to another person. He said that the internal crack on the display – as can be seen in the image above – was there all along. When asked why the person who picked it up didn’t bring it to my notice, I was told that he did not have the proper equipment to spot this crack. It can be judged from the image above that the crack is large enough to be noticed by the naked eye. If it were present on the phone during the pickup, the engineer should definitely have caught that during the 30 minutes or so he spent examining the device. No reasonable explanation was provided for this argument. About the loaner device, I was told that it is not provided when there’s physical damage to the device. When my phone was picked up, there was no physical damage to it according to the engineer. On top of that, the person who had come to collect it had not even brought a loaner device with him. I have decided not to pursue this with customer care any further, and make the payment to get my phone repaired. I will however still be considering legal routes. The humiliation and lies I have been subjected to has caused me a lot of distress over the last ten days. Note: The views expressed in this opinion piece are personal, and are based on the writer’s first-hand experience.